The Aspire range of vinyl wrapped doors are all made to measure on site by HPP. For use in kitchens, bedrooms, offices and virtually any furniture situation. The vinyl coverings are tough, hard wearing and durable. Given the right care these doors will give many years of trouble free use. All of our products are backed up by a range of samples & marketing support materials designed to help you in the selling process. Below are just a handful of kitchen designs that can be created with doors from HPP's Aspire range. All these images are available for download from your Account Dashboard. If you don't already have a HPP Online username & password, you can request one here. Orders for Aspire doors must be placed online, by fax or email. Orders placed by fax or email are best done using the specifically designed order form which can be downloaded here. Logged in HPP account holders can order Aspire doors online here. 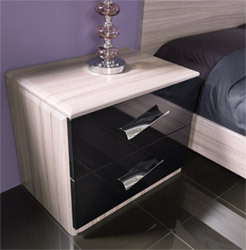 The Aspire range includes 47 styles to match the look of any room in the home. From the traditional to the contemporary, there is sure to be a door that is just what you're looking for. Every door is backed up by a range of coordinating accessories and complementary services such as hinge hole drilling and glazing. All our door styles are available in a wide choice of 72 colours including woodgrains, super matt & high gloss uni-colours and painted oak effect decors. All of our Aspire vinyl wrapped doors can be glazed with a number of different glass types and opening styles. The glass types are showcased below and the various opening options for each door can be found in our Aspire Door Builder. All Aspire vinyl wrapped products are available to order online using our product builders which are all available to access from your Account Dashboard.